Battleship Cove is one of our most exclusive Senior Enlisted (E7 through E9) communities. 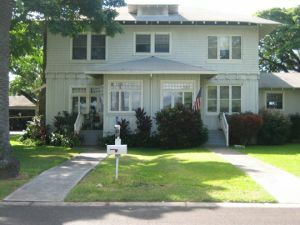 The neighborhood consists of 3 and 4-bedroom single-family homes and is located on Navy-owned Ford Island in the middle of Pearl Harbor. This gated community is nestled in a quiet country setting on Wheeler Army Air Field. Originally constructed in the 1970's, this housing area has been renovated and revitalized. The homes have 2 or 4-bedrooms and are single level or two-stories. 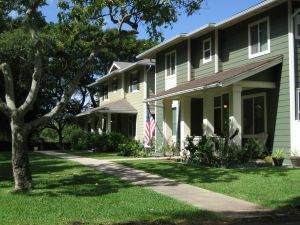 The neighborhood, originally built in 1968, was recently replaced in 2008 with spacious, 3 and 4 bedroom townhouse-style homes for our Junior Enlisted and single family homes for our Senior Enlisted families. 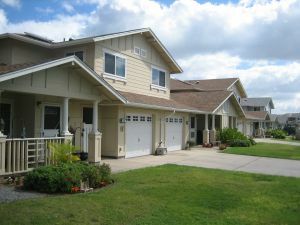 This community offers our Junior and Senior Enlisted (E1-E6 and E7- E9) military members many amenities such as energy efficient appliances, a two-car garage, and tons of storage. Doris Miller Park is a tranquil neighborhood that's now designated for all rank bands (E1-O10) featuring discounted rent rates (less than BAH w/dependents) on select homes. Ford Island Landing is located in the East Loch of Pearl Harbor, a Navy-owned island on the southern coast of Oahu. The island is part of the Pearl Harbor Naval Complex. Access to the main island of Oahu is via the Admiral Clarey Bridge, completed in 1998. Ford Island is designated for Junior Officers (O1-O3) and Field Grade Officers (O4-O5). Offering prime location at the base of Halawa Heights Ridge and easy freeway and highway access in Aiea, our Halawa community has unique 2-bedroom townhomes that offer large, pet-friendly yards, carport and guest parking, central air conditioning, master bedroom walk-in closets, kitchens with built-in dishwashers and garbage disposals, washer/dryer connection,tile flooring, wooden stairs and exterior storage. Also nearby is a large playground for your family’s enjoyment. 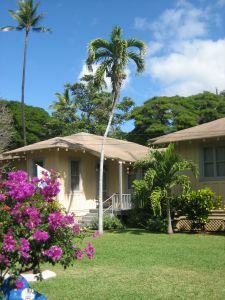 Our Hale Ali'i community is located within the Pearl Harbor Naval Complex, on the south coast of Oahu. Hale Ali'i lies midway, in an east/west direction, between Kamehameha Highway and the waters of Pearl Harbor. Downtown Honolulu is located approximately nine miles west. 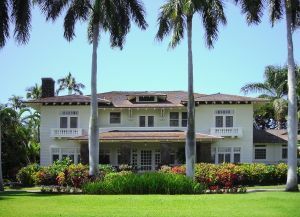 Our Hale Ali'i housing area consists of 14 homes, considered to be prestigious and historic sites, which were built in 1914, 1916, and 1919. All homes are designated for General Officers (O7), Senior Officers (O6), and Junior Officers (O1-O3, W1-W3). 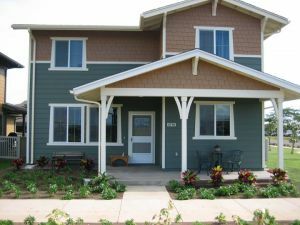 Our Hale Moku community is located next to our Hokulani Community, and is walking distance from the Nimitz Gate of Pearl Harbor Base. 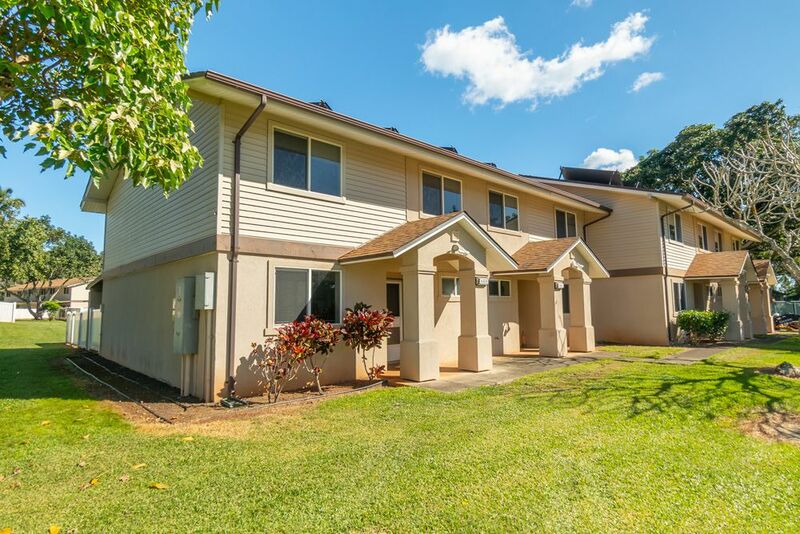 Our Halsey Terrace community is located just north of the Honolulu International Airport and adjacent to our Catlin Park, Doris Miller Park, and Moanalua Terrace communities. It features a bright and open community with a recreational center that features a swimming pool, along with a fitness center, basketball court, and outdoor recreational field. 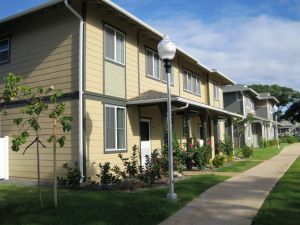 Our Hele Mai housing area is located in the Wahiawa District, in the central plateau of Oahu on NCTAMS Base. The land in its surrounding areas is largely devoted to pineapple cultivation. 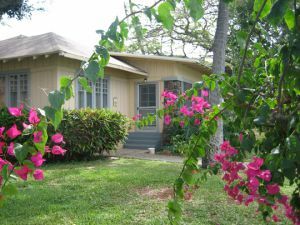 NCTAMS is about 3 miles from the town of Wahiawa and 21 miles from downtown Honolulu. 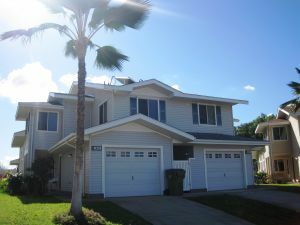 Our Hokulani community is located next to our Hale Moku community and is within walking distance from the Nimitz Gate of Joint Base Pearl Harbor Hickam. 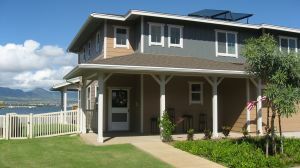 Hospital Point is located in the Pearl Harbor Naval Complex on the southern coastline of Oahu, featuring beautiful homes on the shoreline on the eastern side of Pearl Harbor. The community consists of 19 homes known to be prestigious and historic sites. Originally constructed between 1915 and 1950, Hospital Point homes are designated for Field Grade Officer (O4-O5) and Senior Officer (O6) families. All cabinets, doors, light fixtures, windows, and hardware are original to the historic time period in which the homes were built. Securely located inside historic Pearl Harbor, our Ford Island-Kamehameha Loop community offers 3 and 4-bedroom homes with spacious fenced-in yards, central-air conditioning, tile flooring, garage parking, kitchens with a built-in dishwasher and garbage disposal, as well as a laundry room with washer/dryer connection. 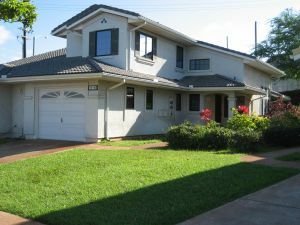 This beautiful neighborhood is within a short distance of Pearl Harbor Hickam, NEX, Child Care Center, and the Pearlridge Mall. Access to Ford Island Kamehameha Loop from Kamehameha Highway is via the Admiral Clarey Bridge. 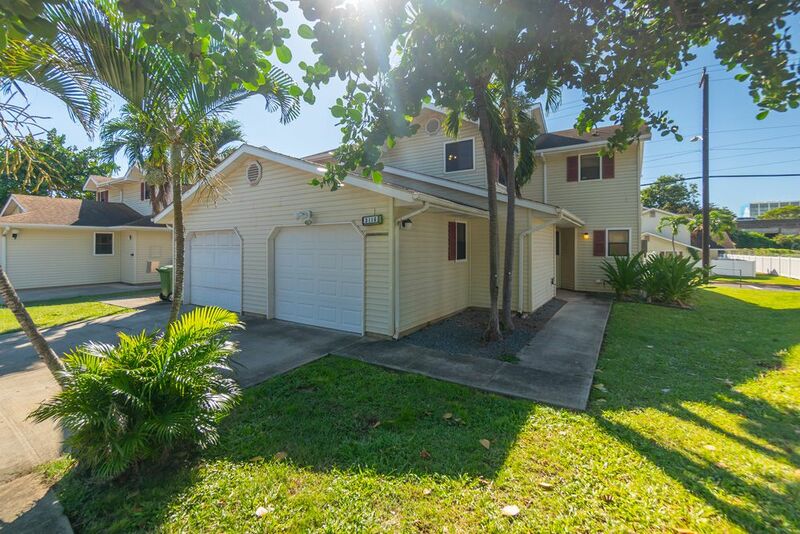 Approximately 7 miles northwest of downtown Honolulu and inside the Pearl Harbor Complex you’ll find our beautifully-renovated historic Makalapa neighborhood sitting quaintly in lush landscapes and tree-lined streets. Makalapa features 3, 4 and 5-bedroom homes equipped with central air-conditioning, ceiling fans, tile, carpet, and/or wooden floors, renovated kitchen cabinets and countertops, new bathroom cabinets and fixtures, kitchens with built-in dishwashers and garbage disposals, laundry areas with washer & dryer connection, upgraded electrical & plumbing systems, and increased interior storage closet space. 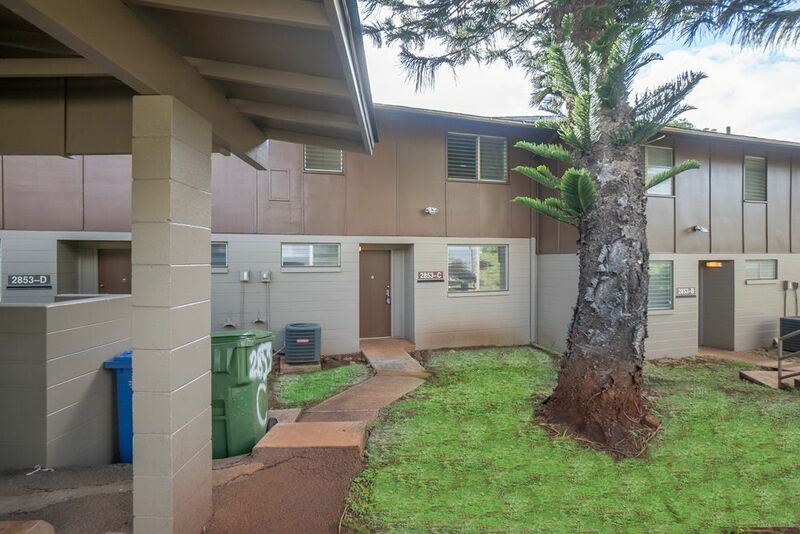 Maloelap is located just north of the Honolulu Airport and is adjacent to our Catlin Park and Moanalua Terrace communities. 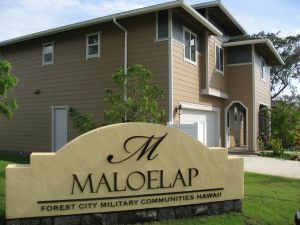 Maloelap homes were originally built in 1973 but in 2009, Ohana Military Communities replaced all of these homes with new 3, 4 and 5-bedroom single family units. The Maloelap community is available to Senior Enlisted (E8-E9) and Field Grade Officer (O4-O5) families. 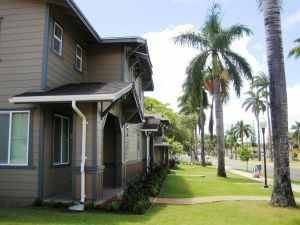 The pristine Marine Barracks family housing area is situated on 8.7 acres of perfectly manicured grounds within the Pearl Harbor Naval Complex, east of Hospital Point. Originally built in 1959, a revitalization project was completed in 1996 and renovated again in 2009. The homes are two-story; wood and concrete masonry; one, two and four-plex structures with the exception of one single-story house. 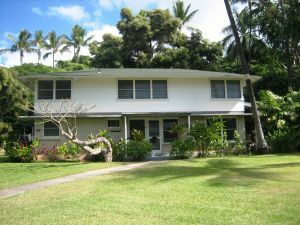 Other nearby historical and prestigious neighborhoods includes Hospital Point and Hale Alii. None are wheelchair / handicap adaptable. Historical and prestigious, this housing community has 11 two and four-bedroom homes for. Ranging from 1,077sf to 3,370sf. 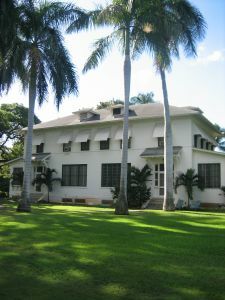 McGrew Point housing is located on a peninsula that extends into Pearl Harbor with Aiea Bay on its east and west loch. Interstate H1 is accessible from this community via Kamehameha Highway. As one of OMC's more recently-built communities, McGrew Point are composed of 1 and 2-story family homes that were built between 2005 and 2008. 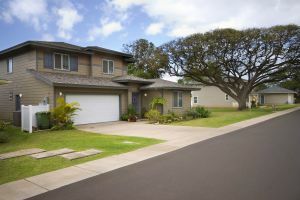 Right across from the perfectly-manicured landscapes of the Navy-Marine Golf Course is Moanalua Terrace--a bright and bustling neighborhood with 2-bedroom homes that offer both single-level and two-story floorplans. With easy access to the NEX, Moanalua Shopping Center, JBPHH, NFCU and Salt Lake Shopping Center, Moanalua Terrace is a prime location for a convenient business, dining and shopping experience. 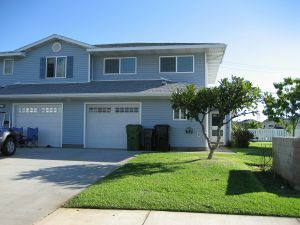 Homes in this neighborhood have spacious fenced-in yards, central-air conditioning, tile and carpet flooring, garage & driveway parking, kitchens with a built-in dishwasher and garbage disposal, washer/dryer connection, and exterior storage. Within the community is a Super Tot-lot, basketball courts and a centrally accessible dog park. Ford Island Nob Hill is located in the East Loch of Pearl Harbor, a Navy-owned island on the southern coast of Oahu. The island is part of the Pearl Harbor Naval Complex. Access to the main island of Oahu is via the Admiral Clarey Bridge. It is a Senior Officer community available to all O6 families. Conveniently located on central Oahu, approximately 4.5 miles from Pearl Harbor and with a hassle-free access to Kamehameha Highway is Pearl City Peninsula, a vast, sprawling community comprised of more than 600 homes that offer the best variety of both island and ocean views. Homes in this community vary between 2, 3 and 4-bedrooms with central or split A/C, fenced-in yards, tiling and carpet flooring, carport and garage parking, laundry rooms with a washer and dryer connection, exterior storage, and kitchens with a built-in dishwasher and garbage disposal as well. Not too far, you’ll find dog parks, basketball courts, and a community swimming pool to use at your convenience as well. Location: Close to Wal-Mart Pearl City, Home Depot, Pearl City Shopping Center and the H-1 and H-3 on-ramp. 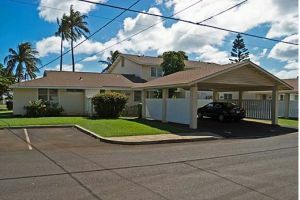 With its accessible location between Salt Lake Boulevard and Nimitz Highway, Radford Terrace residents enjoy its close proximity to the Honolulu International Airport, Salt Lake Shopping Center, Moanalua Shopping Center, and various restaurants and shops located on Nimitz Highway and in the Salt Lake area. 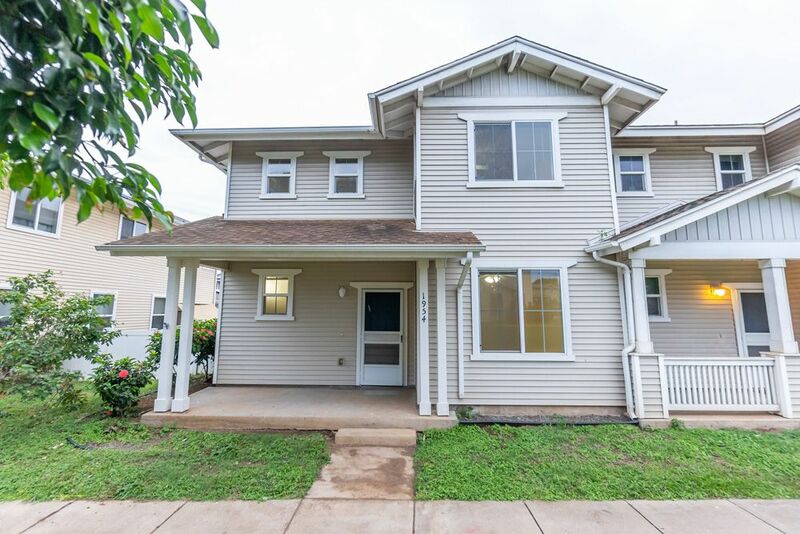 This neighborhood offers home that have floorplans for both 3 and 4-bedrooms and were originally constructed by the U.S. military in 1995-1999. These homes have since been renovated by a private contractor in 2006, These renovated Radford Terrace homes come equipped with fenced-in yards, central air-conditioning, tile and carpet flooring, garage & driveway parking, kitchens with a built-in dishwasher and garbage disposal, and a laundry room with washer/dryer connection. As a Radford Terrace resident, you can also enjoy community amenities such as a beautifully-renovated community center, a playground and a community swimming pool.